Like any proper project in life, designing a house also goes hand-in-hand with decent planning – and part of that crucial planning is including a house plan. A house plan is the architectural representation of a client’s idea on how the different purposes of the house will be arranged. Basically, if you plan on building a house, you need to have a plan of what you want your house to be. On the road to designing your dream home, do not only rely on what your architect will provide. By all means, give him/her your views as wall, ensuring that the final design incorporates some of your personal style – after all, you’ll be the one living there! For this to be implemented correctly, you will need to hire a licensed structural engineer to analyse the design and provide additional drawings and calculations required for your house plan. 1. Why must we have a house plan? 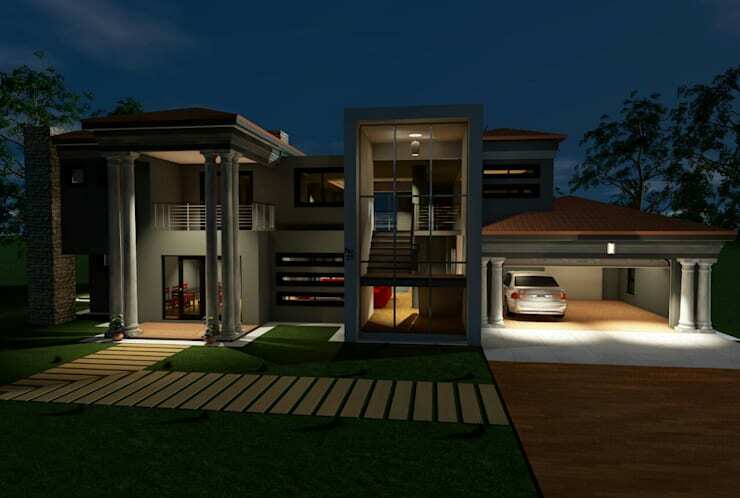 A structure’s blueprints will clearly illustrate what the client expects his/her finished home to look like. Having proper plans in place enhance the preparation of your building site, the planning of all interior spaces, and the creation of a building schedule with the appropriate builders. House plans outline the home’s complete structure from the foundation and wall framing to the roof framing and interior layout. What’s more, house plans provide a clear map of boundaries for each room, showing the correct measurements and major features of each floor plan (like bathtubs, kitchen islands, etc.). By outlining the expected functions of the house, plus its required spaces, it is much easier for the final design to suit the health status of its owner(s). Architects usually consider the light intensity, ventilation and positioning in relation to the environment and climate. The planner can also propose particular types of materials and builders to ensure optimum safety for the client. In addition, a correct house plan also helps control the costs of building a house, as it defines the direction of the building. Therefore, it highlights only what you have budgeted for, minimising unnecessary expenditure. Online stock home plan companies might have buckets of options, but keep in mind that a lot of them sell inferior house plans. Some of the plans, especially older ones, don’t include all the necessary information needed to safely build a home. What your family and lifestyle require differ significantly from your neighbours’, for example. Thus, it doesn’t make sense for both of you to use the same online house plan. Just think about what newlywed couples require in relation to a retired couple or a family with busy youngsters. But if you have no option but to rely on an online house plan, make sure that the designer knows the site of your plot and its land status. This is because different environments require different plans. Think about how wetlands and hilly areas differ and, thus, how they will require different house plans, materials, etc. We all want a certain amount of privacy in our homes, some more than others. So, always consider how much privacy you need from other occupants and the neighbours when drawing up your house plan. Will a U-shaped layout be best, or an L-shaped design? How will that impact your surroundings (i.e. living in an urban area)? And just think: if you have your own house plan, then you have the satisfaction of knowing that your tastes and preferences are going to be included in that final design. 4. What must a house plan include? •	All floor plans (ground floor, first floor, etc.) showing all room layouts. •	Elevations showing windows and doors. Unfortunately, there is no written-in-stone cost attached to a house plan, as the various factors all influence the final amount. The location, for one thing, can greatly determine the house plan pricing, as the planner has to physically inspect and see what is exactly on the ground. So, too, can the type of house you desire affect the price of your plan. A bungalow, for instance, may only require consulting an architect for the plan, whereas a house with multiple storeys will need the consultation of a structural engineer as well – and that will affect your price. A good payment should match the durability of the investment, which makes it important that you consult an expert on how best you can use your land. We recommend putting your trust in the hands of a licensed expert, as they’ll be better at giving advice on the best materials to use. At the end of the day, enjoy working with a professional and have fun drawing up your house plan – it’s one of the first steps to having your dream home! 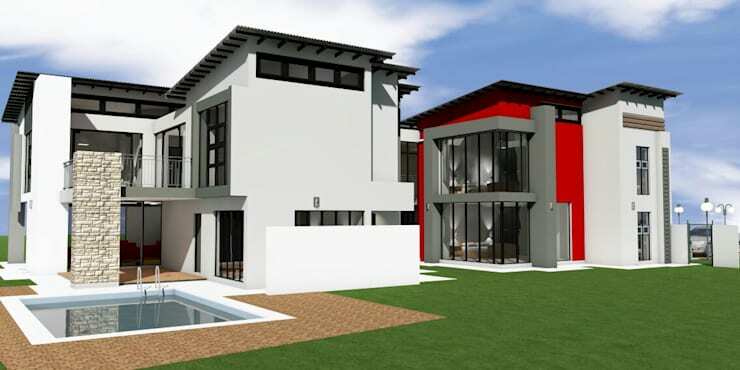 In the quest to finalising the planning of your forever home, we recommend you read Architects' advice on 3D house plans (in Pretoria). What will your house plan (for your dream home) include?